Piezo, 85dB internal or external custom buzzer/siren. 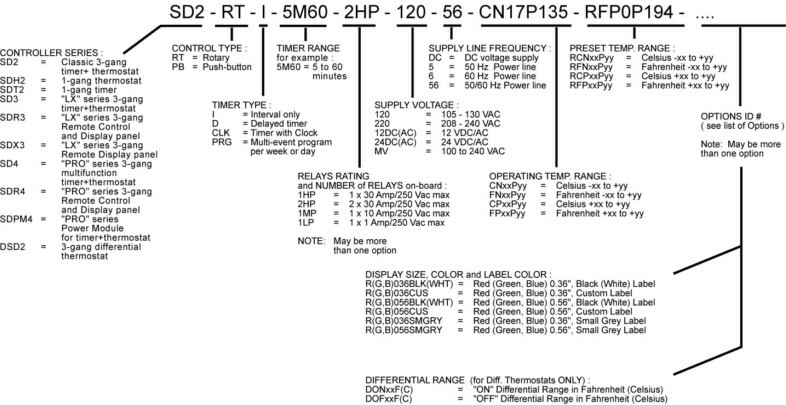 Alarm Relay or Buzzer optional. in Grey or Black . Electronic, digital thermometer designed to monitor the temperature at external sensor probe location. The optional Alarm can be permanent or presettable. 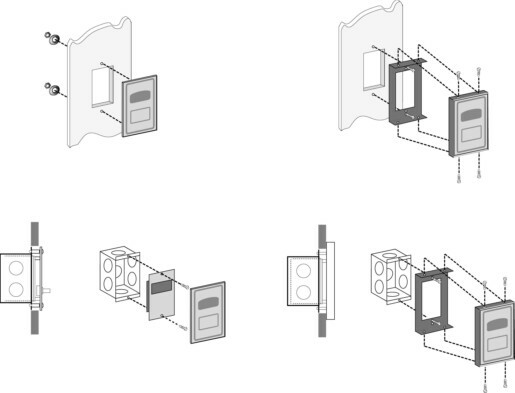 When activated, it will contol the output high power Alarm relay or internal piezo Buzzer. 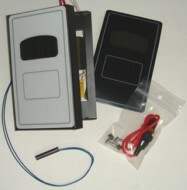 External Buzzer options also available. The 3-digit LED display shows both, the alarm preset and the current temperature. Models available for 120Vac, 208-240Vac, 12V or 24V AC/DC, 50/60Hz. 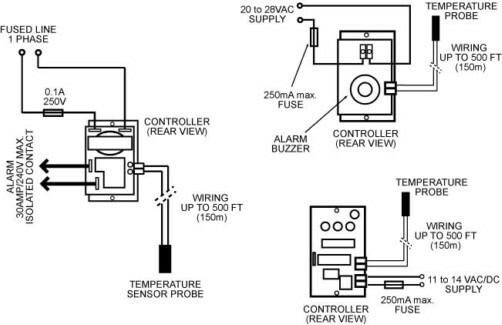 The temperature Alarm preset may be permanently set or changed at any time if external pot or push-button model ordered. 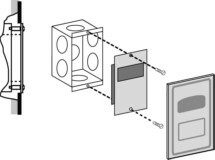 In the SDM-2 models the alarm value may be preset with a hidden trimpot accessible when the face is removed. The probe may be wired up to 500 ft. ( 150 meters ) away from the controller. Models available to operate in Celsius or Fahrenheit. flush or semi-flush with Lexan decal. 1-3/4" x 2.75" x 2.5"
electrical box or in a panel. Face plate will sit flush with the wall. (model PPP4 or PPS4 ). model PG5 (black or grey ) . Digital Thermometer without Alarm. 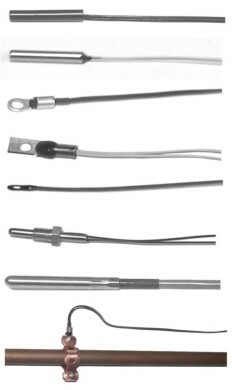 External temp probe included. Operating range: 0 to 255 F.
Digital Thermometer witht internal Alarm Buzzer and external temp probe included. Operating range: 0 to 255 F. Alarm preset range: +100 to +194F. NOTE: The alarm value may be ordered as permanently preset or adjustable with external Pushbuttons or Rotary Pot. UP TO 500 FEET ( 150m ).